On August 11th, 2011, the U.S. Consumer Product Safety Commission, in cooperation with Philips Lighting, announced a voluntary recall of their EnergySaver or Marathon Classic Compact Fluorescent Dimmable Reflector lamps due to a possible laceration hazard. The glue that attaches the glass outer envelope or globe to the body of the lamp can fail allowing the glass outer envelope to fall and strike persons and objects below, posing a laceration hazard to consumers. 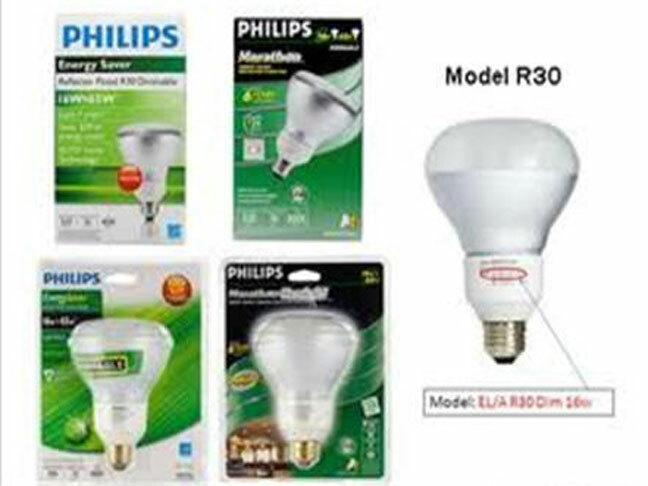 About 1.86 million of these light bulbs were sold and this recall involves Philips EnergySaver, a/k/a Marathon and Marathon Classic Compact Fluorescent dimmable reflector lamps, models R30, R40 and PAR 38 manufactured between March 2007 and May 2010. 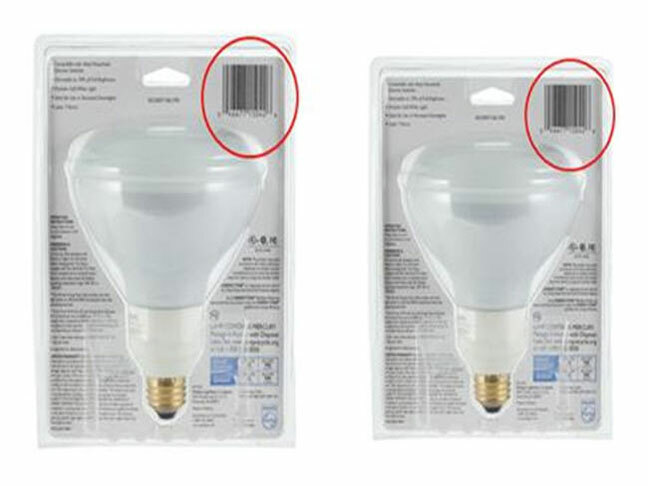 Specific Model numbers and Universal Product Code (UPC) numbers of the lamps included in this recall can be found here. As of August 11th, 2011, Philips has received 700 reports of lamps where the glue failed and the glass outer envelope fell, including two reports of minor injury and three reports of minor property damage. For boxed products, the UPC number is on the bottom of the box. For products in blister cards, the UPC is at the top right corner of the back of the package. The affected products were manufactured in Mexico and Poland and also have dates codes from March 2007 through May 2010 and those codes are located on the lamps themselves, either stamped into the metal gold base of the lamp or in the white ceramic area with other product information. Grocery and home center stores nationwide, online retailers, and professional electrical distributors from March 2007 through July 2011, for between $11 and $24. Consumers should immediately stop using the recalled lamps and contact Philips to receive instructions on how to receive a free replacement lamp. For additional information, contact Philips toll-free at (866) 622-6372 between 9 a.m. and 5 p.m. ET Monday through Friday or visit the company’s website. Consumers should also be aware that it is illegal to resell or attempt to resell a recalled consumer product. Further information can also be obtained at the Consumer Product Safety Commission website. Jessica Alba Welcomes Baby Number Two!Four Celebrity Weddings This Weekend!